Best tip: Download The Gant app for on-demand rides! Aspen is easy to reach by plane or car. Aspen has a small airport, Aspen-Pitkin County Airport (code: ASE), that services regional airlines. You can find direct flights from Chicago and Atlanta, but not from New York. You could also drive into Aspen. It's definitely easier on the wallet to book a flight into Denver International and then rent a car for the 4ish hour drive to Aspen. There are two major routes if you're driving from Denver to Aspen. The first, Independence Pass, is only open in the summer months but provides spectacular views. The second is a bit slower and longer and drives through Glenwood Springs. 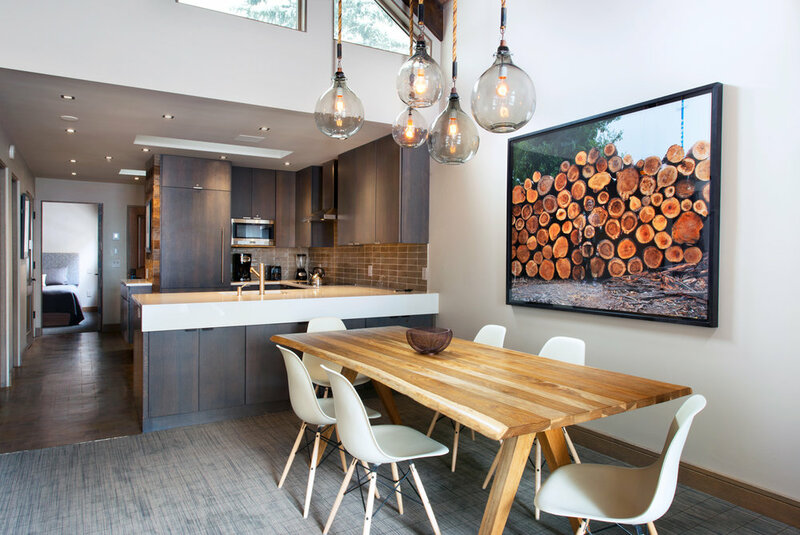 Once in Aspen, The Gant is easy to find and is incredibly close to downtown. Once you are here for the weekend you can walk or take shuttle buses anywhere in the city. 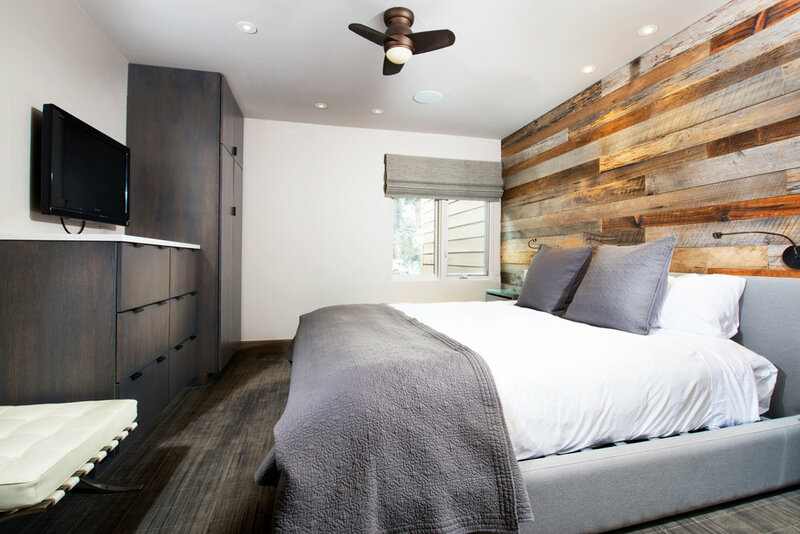 The Gant is the only luxury hotel in Aspen to offer a condo layout. You can choose between one to four bedroom floorplans which is great if you're traveling with a group or family. I stayed in a recently upgraded two bedroom condo which also had a spacious living room, a wood burning fireplace, huge dining area, full kitchen, and balcony. On ski trips, I like to keep costs down by staying somewhere with a kitchen and this place FAR exceeded my expectations. I can't wait to bring a larger group here and stay here again. This place just begs you to relax all day in it (not great for a ski trip) and was so nice to come home to after a long day exploring Aspen. No complaints here. The Wifi at The Gant worked wonderfully. I streamed Netflix and answered emails easily. 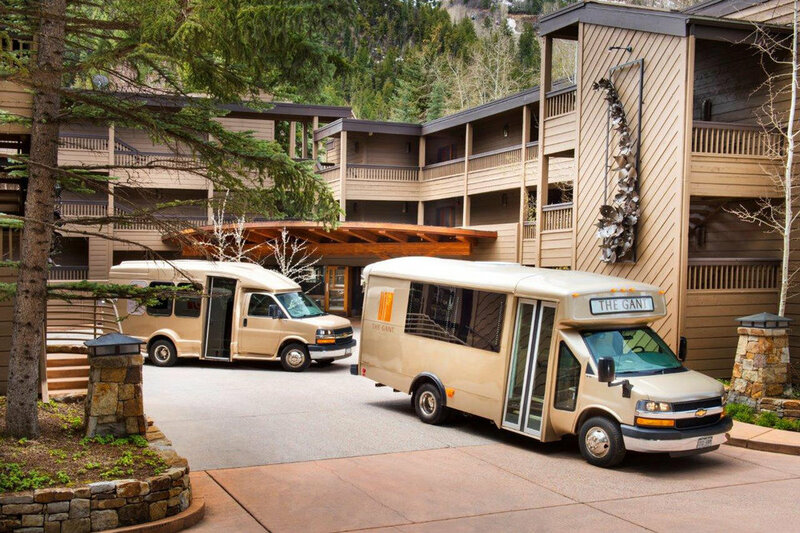 Like all of the nicer hotels in the Aspen area, The Gant offers complimentary Aspen Airport transfers and on-demand in-town shuttles. I liked that their fleet of Gant Vans were light brown because the other hotels all had black vans. It made your ride easy to spot. The vans operate daily from 7 AM – 11 PM but they arranged a complimentary driver for my extremely early flight - we left The Gant at 5:45 AM. So convenient! They also have an app you can download to call for rides just like Uber. The Gant property also has two pools and multiple jacuzzis to use (all which close at 10). The gym is small but perfect for a trip away and their Pepperjacks Cafe is delicious. Like I said above, Pepperjacks cafe was a great way to start the morning. I can't say that I ate there anytime other than breakfast but that was because The Gant's location is just so incredibly perfect. You are steps away from downtown which holds some amazing restaurants that eating at the hotel just feels wrong. I would definitely recommend The Gant if you are taking a trip to Aspen. The location is perfect with so much to do just mere walking distance from you. If walking isn't your thing you can grab an on-demand van and go anywhere in the city. The condo/hotel model makes it easy to save some money and cook food (or just stretch out and relax) while also providing luxury amenities reminiscent of a five-star hotel. Want more travel tips? Follow along!